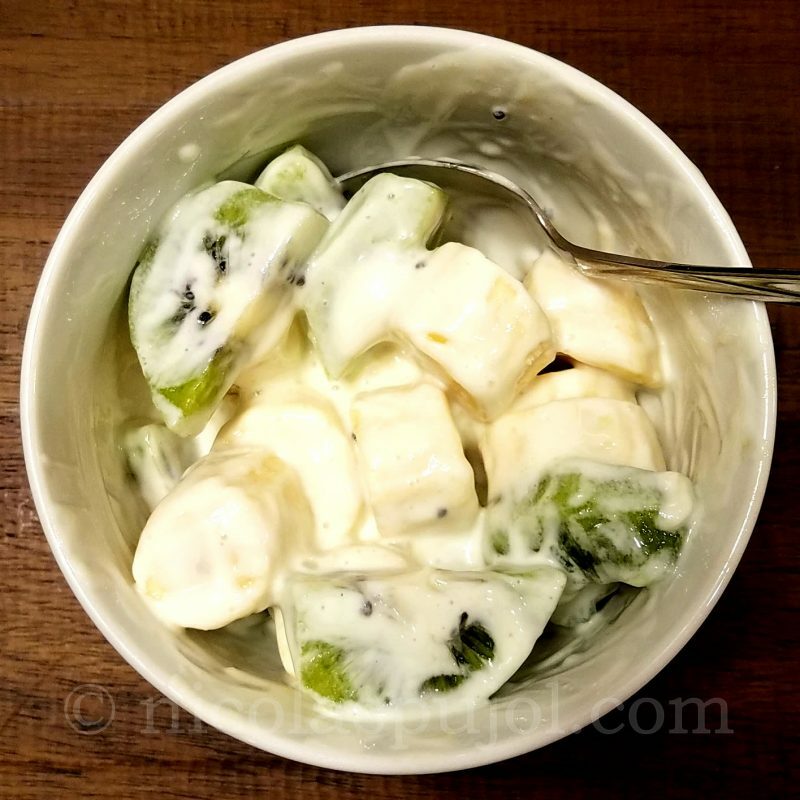 This quick kiwi, banana and yogurt recipe provides an alternative to commercial, prepackaged fruit yogurts by simply using your own ingredients. One difference between something bought in a store that contains a mix of dairy and jam, and this recipe, other than the fact that you are certain to eat the fruits fresh with all their vitamins, nutrients, and life. Another difference is the ratio of ingredients. 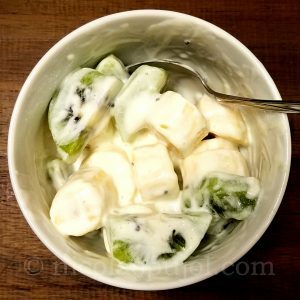 This recipe contains more volume in kiwi and banana than dairy, as opposed to the commercial fruit yogurts which contain mostly dairy and a little bit of jam or mixed-in pasteurized fruits. 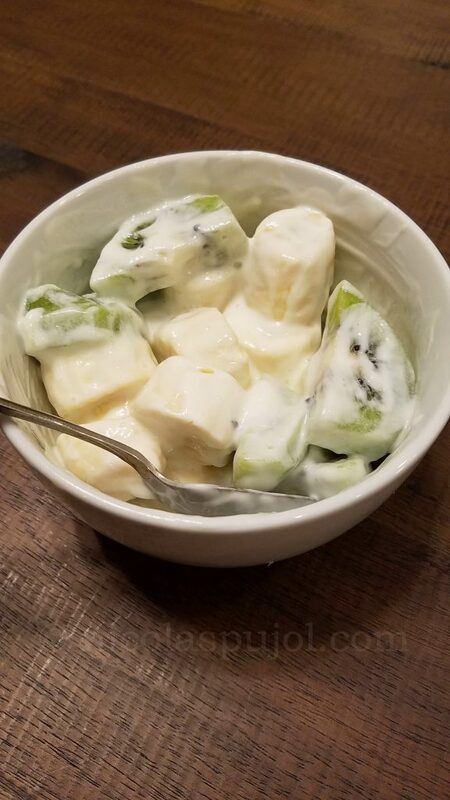 My younger child Marc, who is now 12 years old, likes this kiwi, banana, and yogurt as a snack when coming back from school. He often plays soccer later in the afternoon and has little time in between to recuperate some energy. 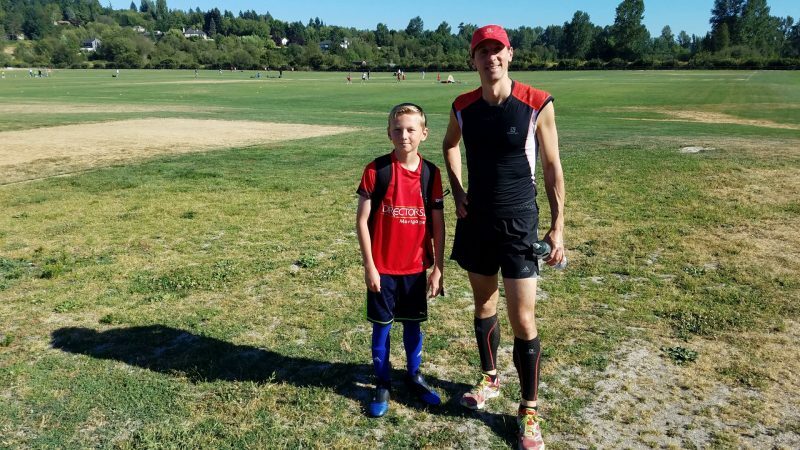 Eating this allows him to quickly get a blend of carbohydrates, proteins, and fats that he can digest before soccer begins. Sometimes I go for a long run while he plays soccer and I eat one of these as well. 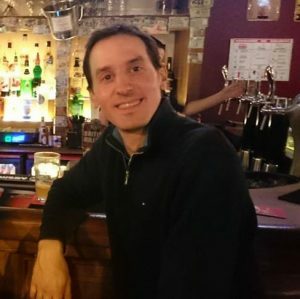 If you do decide to try it before a sports session, eat it at least one hour (ideally 2 hours) before you start so your body has time to digest it.